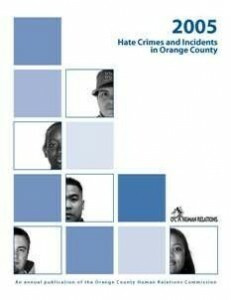 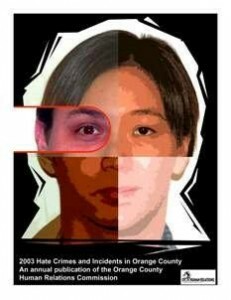 Since 1995, the Orange County Human Relations Commission has collected hate crime and incident data from law enforcement agencies, prosecutors, community organizations, and hate crime and incident victims. 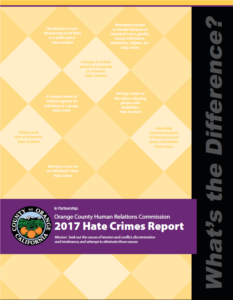 The data is then analysed and compiled into an annual report, which is broadly disseminated to policy-makers, law enforcement agencies, community groups and educators throughout Orange County. 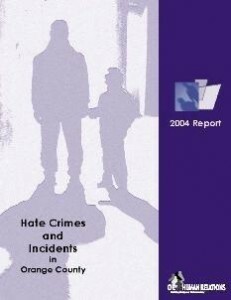 The information presented in these reports allows all parties to better understand hate crime and incident trends; measure the outcome of their work; and, direct prevention campaigns in their communities or schools. 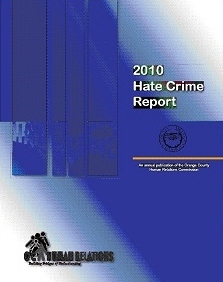 The reports also serve to advise policy decisions and inform the development of services for victims of hate. 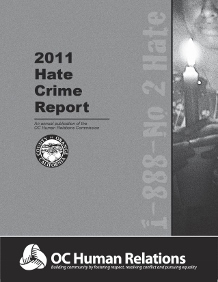 The Commission appreciates the cooperation of the organizations and police departments that provide the data. 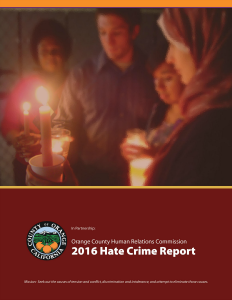 These reports aim to represent the faces and efforts of people on the frontlines of hate crime prevention work in Orange County. 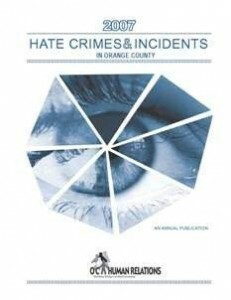 The numbers contained within them reflect not only the quantity of hate crimes and incidents, but also the willingness of the general population to name and report a hate-motivated occurrence as such. 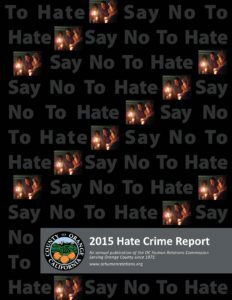 Ongoing efforts to overcome the fear and stigma associated with hate crimes and to address the issue of the many unreported hate crimes and incidents continue to expand. 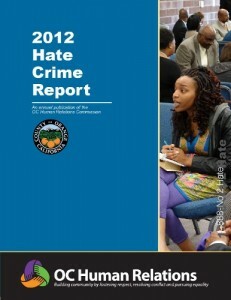 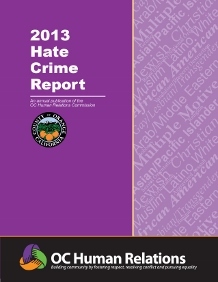 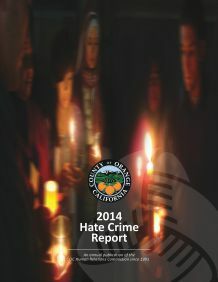 Click on the images below to open a PDF version of that year’s Hate Crime Report.